Highlights The Seven Southern atolls is an action packed pelagic adventure in the Maldives filled with speedy drift dives, manta, sharks and even a wreck dive in some of the Maldives' least visited atolls. The Seven Southern Atolls itinerary is an action packed pelagic adventure in the Maldives filled with speedy drift dives, manta and sharks action. 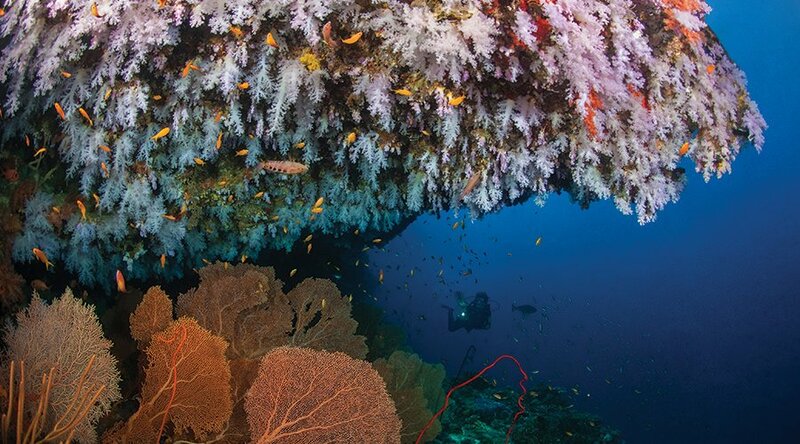 Dive no less than 7 atolls in total! 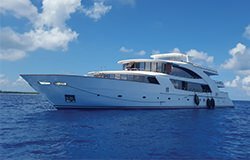 Our exclusive Maldivian liveaboard stops at nothing to ensure that you see manta, sharks and even a wreck as you sail into diving perfection. Jan - March is the season for this itinerary as the current in the Kandus is predominantly incoming in this period. The Severn Southern Atolls itinerary will focus on diving North & South Male, Vaavu, Vattaru, Meemu, Thaa and Laamu atoll. Your trip will typically include a domestic flight either at the start or end of your holiday. Depending on the boat operator and sightings, you may find that you do not dive Vaavu and Vattaru so as to spend time in South Ari atoll instead - both options boast manta cleaning stations. 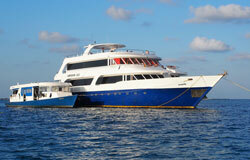 On longer variations of this itinerary, you may also return to Male by boat rather than a flight. There is a good variety of diving with exciting channel dives but also more relaxed diving inside the atolls on Thilas or Giris. One of the great things is that there are few other boats en route. North and South Ari are busy during this season, but this itinerary visits atolls that have few or no resorts and many unpopulated islands. 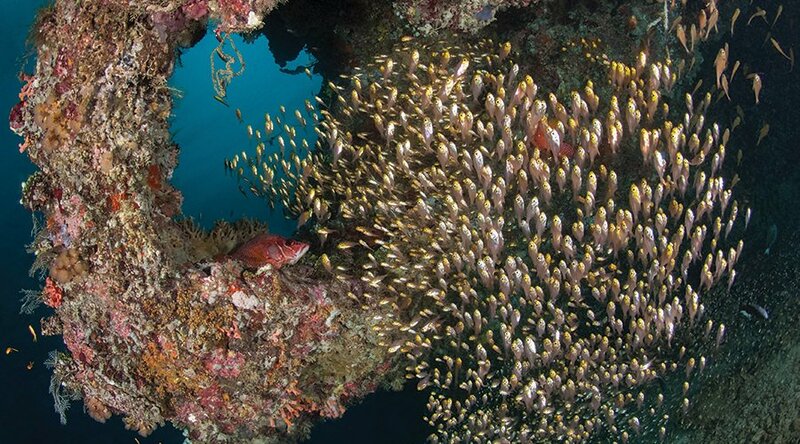 Dive in North and South Male on the picturesque Finolhu wall or at HP reef. There is even a chance to squeeze in a wreck dive at the Kuda Giri wreck, famous for the rare black corals and superb macro life... can you find the resident frog fish? There is a shallow manta cleaning station in Meemu Atoll. Hammerheads are consistently found in Thaa, and also whalesharks often come to the boat at night attracted by the lights. The channel dives in a favourable current are really spectacular. Thick with schooling snappers, jacks barracuda, hunting white tips and greys, grouper, napoleon wrasse, turtles, eagle rays etc etc. And as you finish off in Laamu, it's time to get your shark fix! 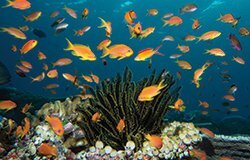 As there is a good amount of drift diving on the Seven Southern atolls itinerary it is best suited to more advanced divers. 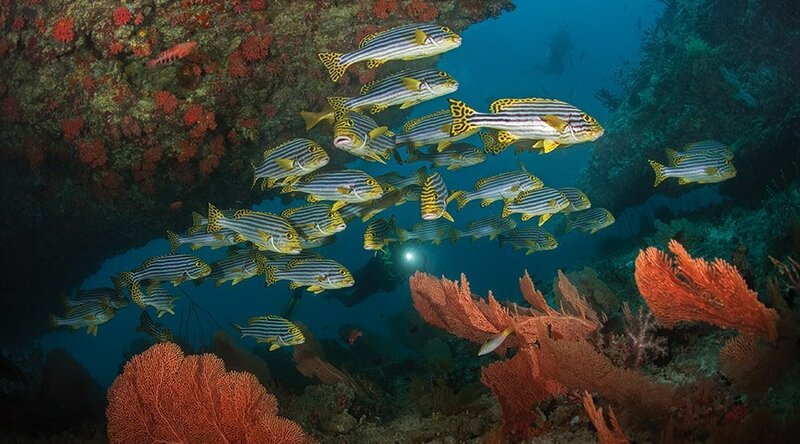 Some of the locations are remote so you must be comfortable on drift dives. The brilliant viz in the southern atolls makes it a great choice for photographers who fancy giving their wide angle lens a holiday (although there is also some phenomenal macro including ghost pipefish). If your log book could do with a fresh injection of outstanding sightings or you just want to see different bit of the Maldives, this is the itinerary to be on! 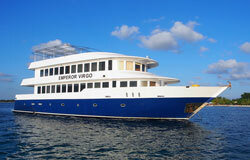 Emperor fleet will alternate between starting/finishing the Seven Southern Atolls itinerary at Male or Laamu. On occasion this itinerary may start/finish at Huvadhoo. Please check your exact start and end points for each individual trip at the time of booking. 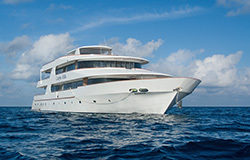 All of our Seven Southern Atoll trips have 7, 9 or 10 nights spent on board your liveaboard. There are normally 3 dives a day apart from on your first and last day. 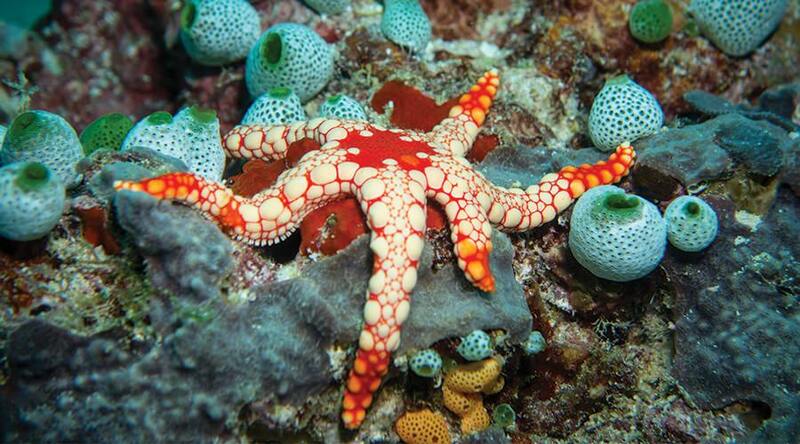 There is usually an opportunity for a night dive during the week. 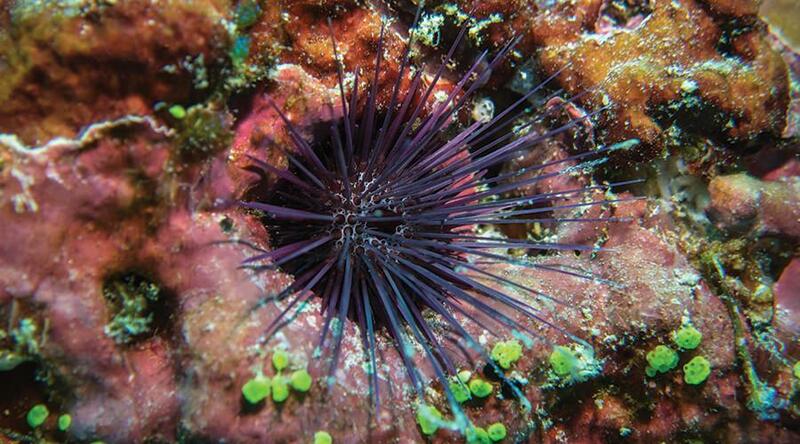 There are around 17-18 dives on an average week but this can vary depending on local weather conditions. If your trip departs from Male you will be met on arrival from your international flight and taken directly to the boat. If your trip departs from Laamu you will be taken to the domestic airport upon landing in Male to catch your flight to this southern atoll. On arrival in your final destination you will be met and taken to the boat. Where possible we will try to ensure that your transfer times are kept to a minimum. A normal Seven Southern Atolls itinerary will dive at the following areas but the exact dive sites and order will vary week by week depending on what people enjoy, where the best sightings have been and reflect diver experience levels. You will only dive in North Male normally for your check dive but this is an excellent taster for what is to come in the Maldives! 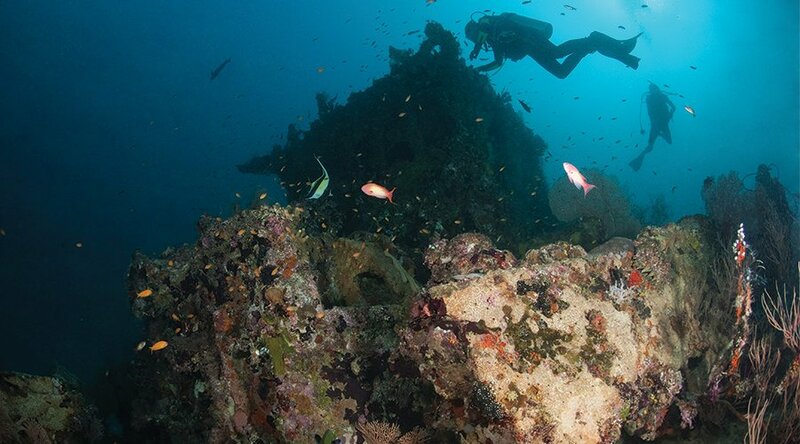 Kuda Giri is both a reef and a wreck dive in 1! The wreck itself is a fishing trawler that now sits upright on the seabed between 18-30m. You can make a basic penetration dive through the wreck or stay on the outside and watch the schooling fish swish about. 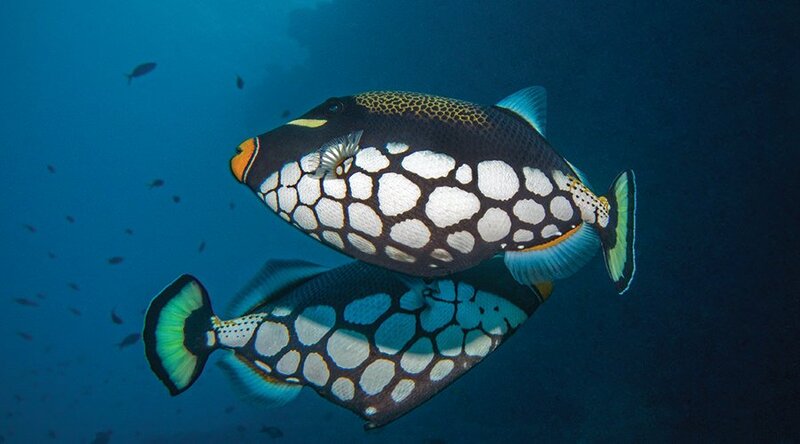 Great for jack fish hunting, trigger fish and if you look closely you can even find frog fish. Look for the black coral too! 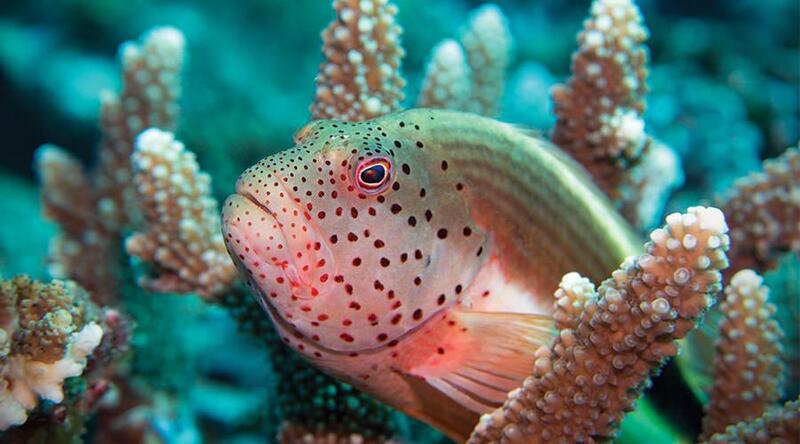 Vaavu is otherwise known Felidhoo atoll and the reef here is the longest stretch of unbroken barrier reef. It is all about channel diving here as you zip along with the currents moving in and out of the atoll - great for drawing in sharks including reef sharks and even hammerheads. Fotteyo Kandu and Fotteyo Falhu are highlights here. 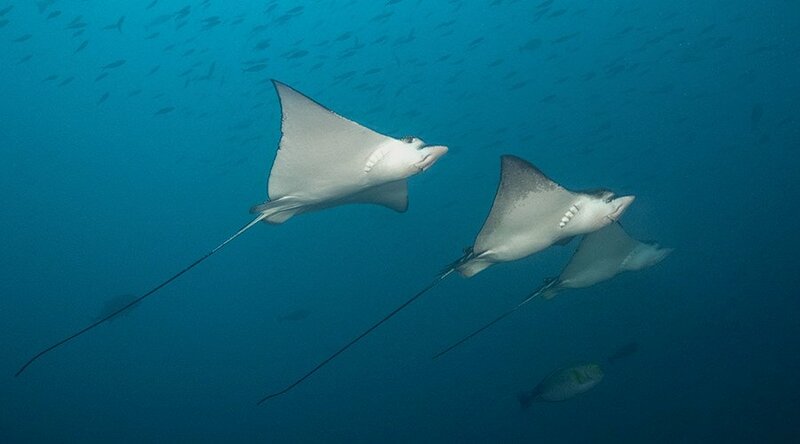 Look out for eagle rays and manta to Bodu Miyaru Kandu. Depending on the boat operator and sightings, you may find that you do not dive Vaavu and Vattaru so as to spend time in South Ari atoll instead. The viz at Meemu is quite astonishing and you are virtually guaranteed to see manta on just about every dive! The cleaning station is prolific and you can even come across whalesharks. 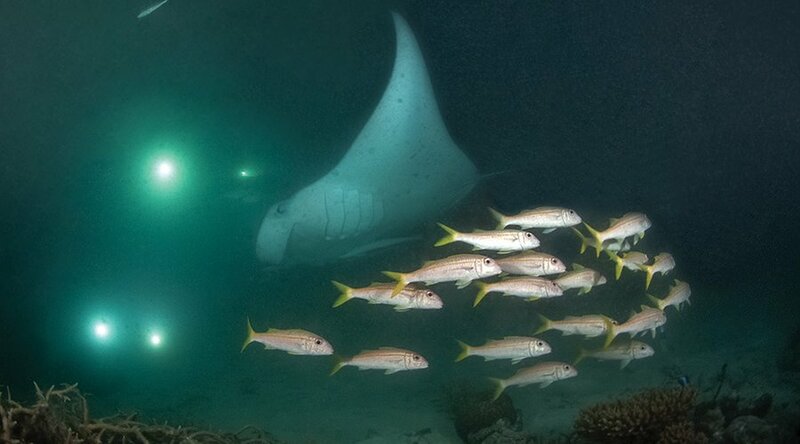 Medhufushi Thila is a channel dive ideal for sighting rays and sharks. Just go with the flow and let the pelagic action unfold before you. Tuna and barracuda just add to the action. 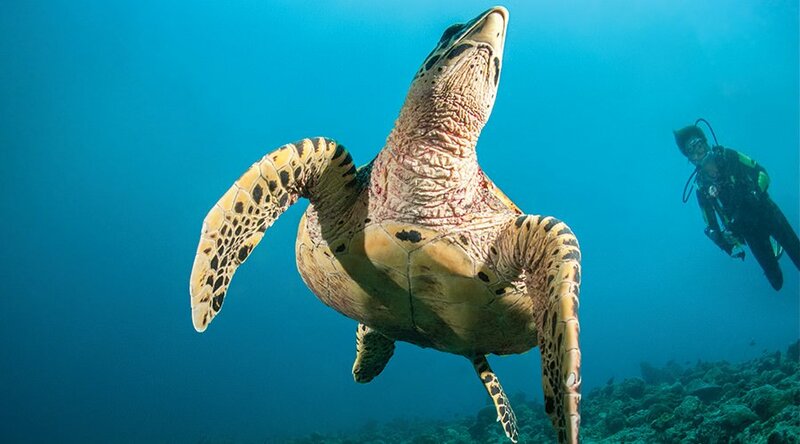 And turtles can be found along the reef wall. 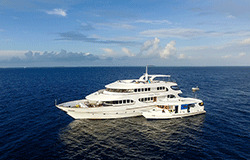 Jump in at Thaa atoll for a chance to see hammerheads and whalesharks. Head to to Olhurgiri Kandu for your pelagic fix. There are some splendid coral gardens at at the Gorgonian Gardens where the eagle eyed can find ghost pipefish. Dolphins are also seen here, especially at night time. Laamu is an undisturbed atoll with only a handful of sites having been formally identified. 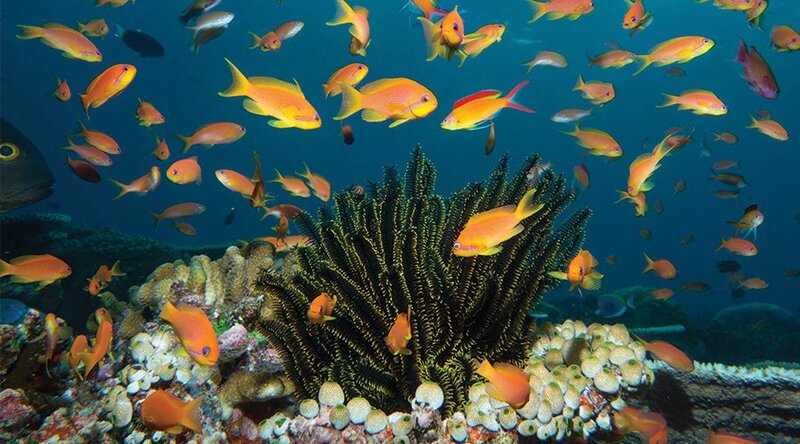 The channels are packed with fish and you can watch the larger marine life hunt out their prey. Fushi Kandu and Munnafushee Kandu the perfect spots to find eagle rays and sharks for your final pelagic thrills. No minimum number of dives needed but you should be comfortable with drift dives as currents can be strong. 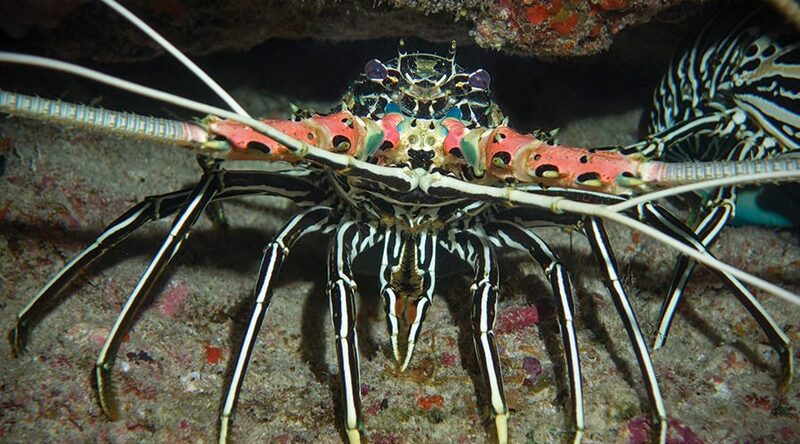 Many of the dives on the Seven Southern Atolls itinerary is suitable for all levels of divers, however, unpredictable and strong currents are to be expected in certain areas. Inexperienced and beginner divers may find some dives challenging and may be asked by the Cruise Director to skip dives that are not suitable for their diving experience. On some dives the recommended depth is below 18m therefore advanced or Deep Diver training is advised. Carpe Fleet require an AOW certification. All diving is from dhonis to give precise entry and exit points. 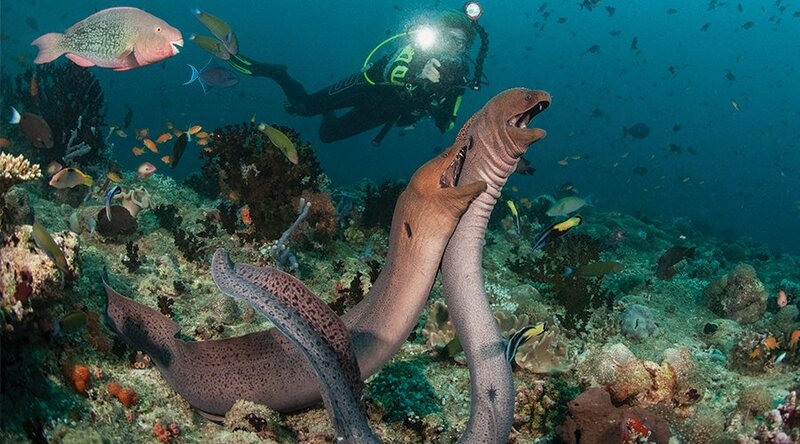 Experienced divers can dive in a buddy pair unguided. You will normally leave the boat after breakfast on your last day and be transferred to the airport to begin your journey home. Depending on which way the itinerary is running, you may return to either Male at the end of your liveaboard or need to catch a flight up from Laamu to Male. Please do speak to the travel consultant at the time of booking to confirm the exact last day arrangements. 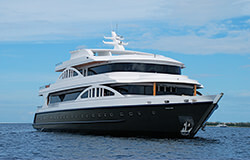 Alternatively, why not add an extension at one of the many beautiful resorts in the Maldives or even a second liveaboard. 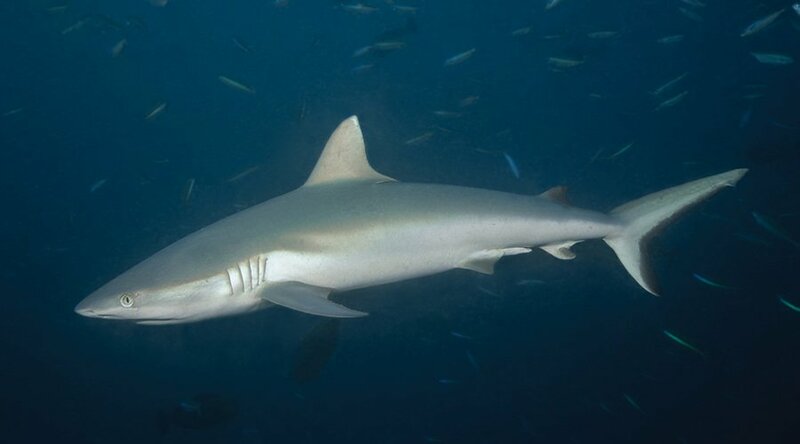 Speedy channel and drift dives - great for sharks and pelagics!